Since 2004, yourHAIRx has distributed more than 40,000 copies of our free 28-page booklet, Coping With Medically Related Hair Loss, to doctors’ offices and directly to patients with the help of several major cancer and Alopecia organizations and right here on yourHAIRx.com. This booklet offers step-by-step instructions for purchasing a wig or MHP if you’re losing your hair to chemotherapy or if you have some form of Alopecia. 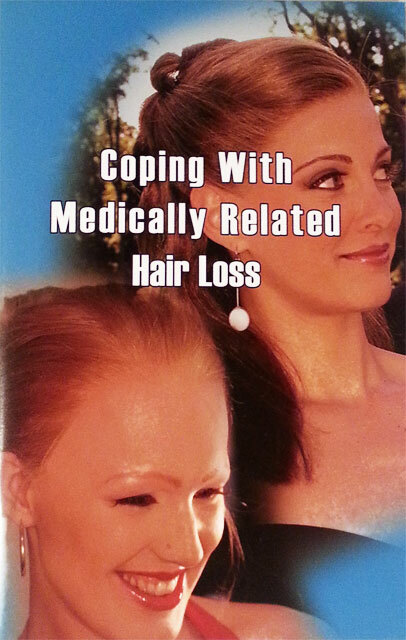 The booklet also includes helpful guidance in maintaining the wig or MHP you’ve purchased. Fill out the form below to request your free copy.